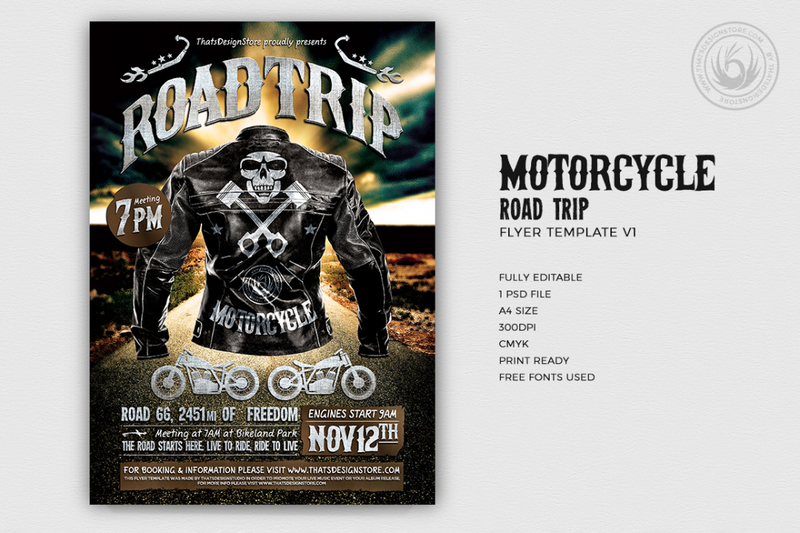 Motorcycle Road Trip Flyer Template, PSD 100% editable and ready to print. Customize your Photoshop flyer template easily. 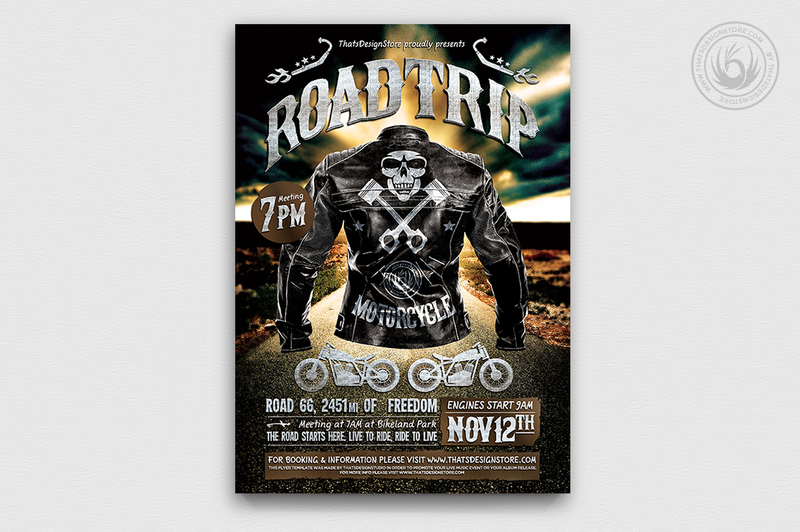 To learn how to customize those templates with Adobe Photoshop, you can find a very helpful tutorial on our blog: https://thatsdesignstore.com/customize-psd-flyer-templates-easily/.